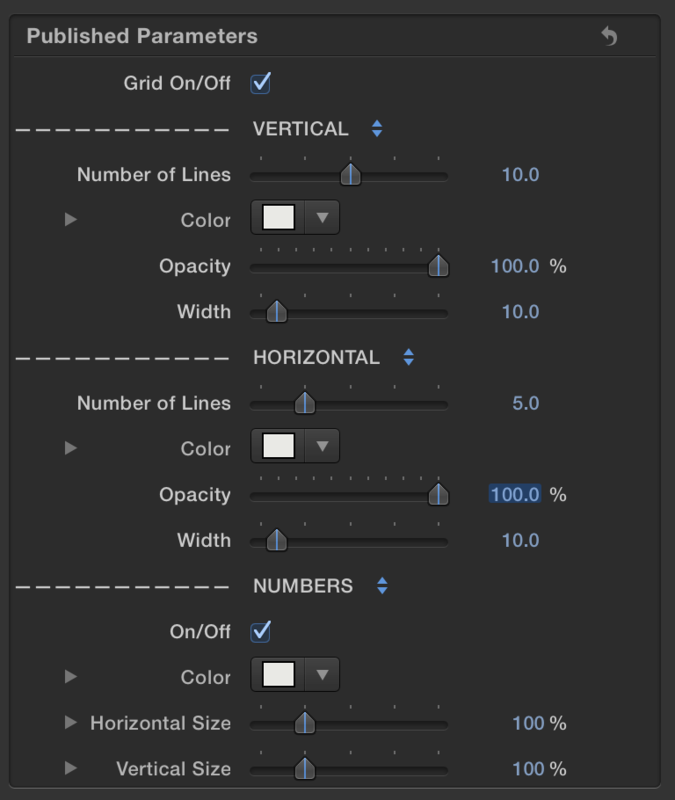 Grid Pop makes it easy to quickly layout anything in Final Cut Pro X. Grid Pop works with anything in your timeline. 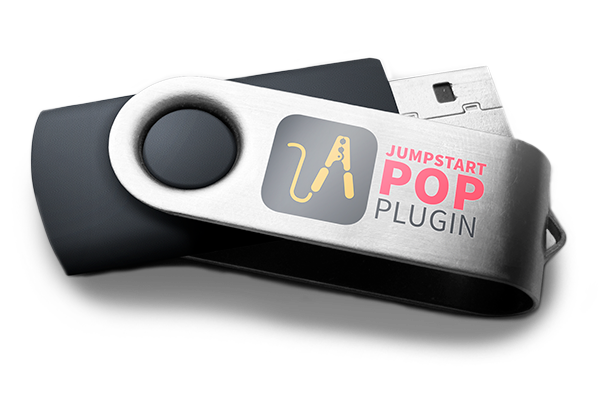 It works great with video, images, graphics, logos, titles and even compound clips! Use the following guide to learn more about Grid Pop. 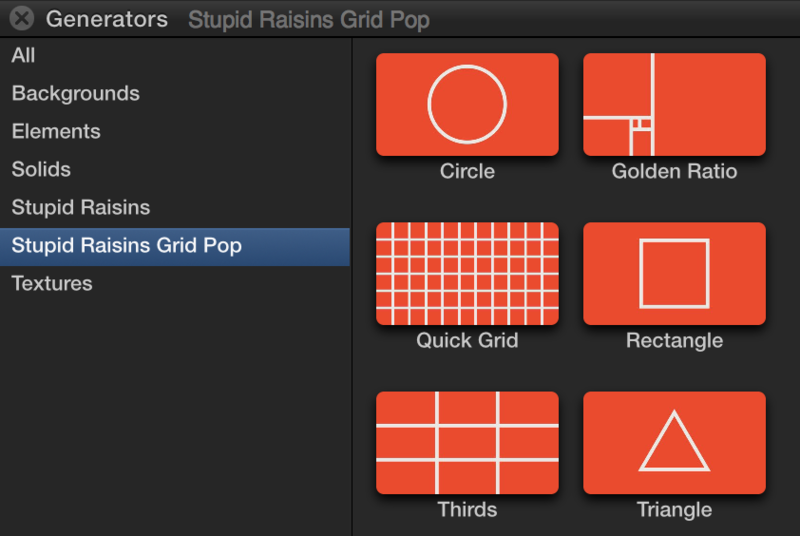 Grid Pop comes with 56 Final Cut Pro X effects and you’ll find them in the Effects browser in Final Cut Pro X under Stupid Raisins Grid Pop. 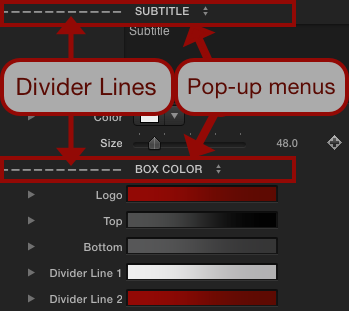 Drag and drop the Effect you’d like to use onto a clip in your timeline. Next use the Inspector controls to tweak the effect. Use this to pick where the the object will go in the Horizontal space. Each section represents a different division amount horizontally on the screen. Turn guides on/off with this parameter. The guides divide the screen into equal numbers. You may want to fine tune the position of the clip. Use these controls to tweak it. 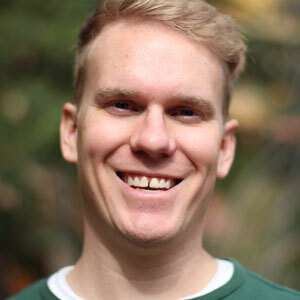 This let’s you rotate the object in X, Y, and Z space. Use this to change the size of the object. Any element with dimensions other than 1920 by 1080 may need to be turned into a Compound Clip before proceeding with your layout. If not, it may cut off the object. To prevent this, simply turn the element into a Compound Clip first. To do that, select the object and press Alt+G. Name it and press Enter. 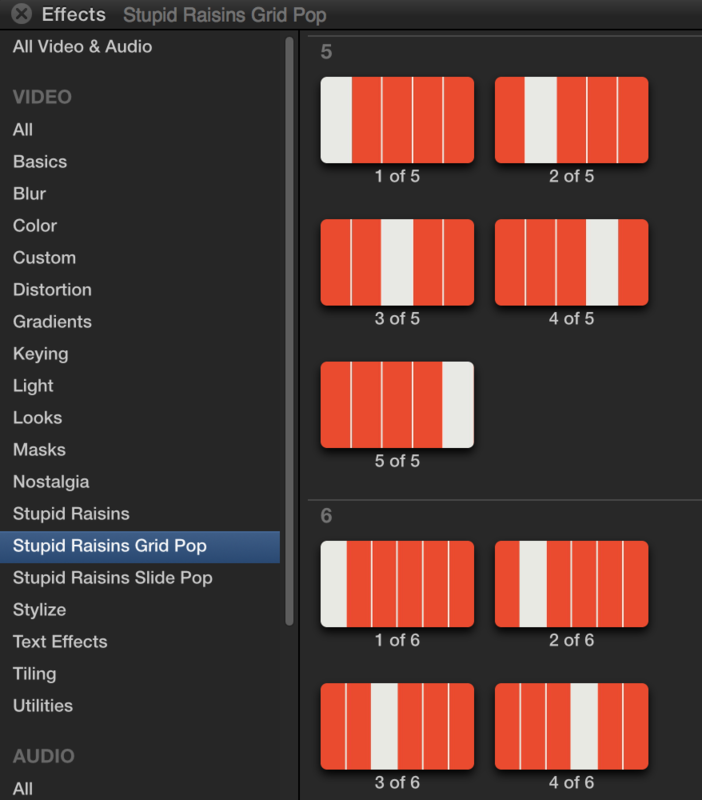 Grid Pop comes with 6 Final Cut Generator grids and guides and they’re perfect when you have several elements you need to layout quickly. You’ll find them in the Generators browser in Final Cut Pro X under Stupid Raisins Grid Pop. Use the Inspector controls to customize the Generator. Some dividers have a light bulb next to the section name. The light bulb means that there are some ideas, tips and tricks in the pop-up menu. Just click on the pop-up menu and you’ll see the ideas. Selecting an idea won’t change the template.